Fireplace Megastore is proud to display the Authorised Broseley Dealer logo on their website and have the high quality stoves from Broseley available on display in their showroom. If you are planning to install a multifuel or wood burning appliance,Broseley strongly recommend the use of HETAS approved engineers. HETAS engineers can carry out a detailed site survey prior to installation; a heat loss calculation can also be performed ensuring that you know your property's individual heating requirements. A survey and heat loss calculation will give peace of mind that the appliance you buy will meet your requirements. 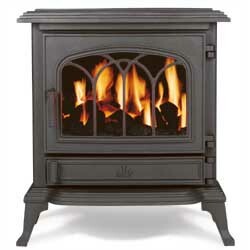 If you buy the wrong stove because you have not had this survey carried out, it could be a very expensive mistake! Broseley authorised retailers have to comply to strict Broseley standards which requires the authorised retailer to have fully trained, professional sales and technical team.This ensures Fireplace Megastore maintains a high level of customer service and after-care to help consumers make an informed decision, complying to Broseley standards. Broseley authorised retailers are required by Broseley to display their products in their showroom available for the public to view. Broseley authorised retailers are required by Broseley to offer a full installation service to its showroom customers. As with all E-commerce websites if applicable, Broseley ensure that authorised retailers have the correct information readily available to the customer on their web site - company registration details, VAT number, company address, and land-line phone numbers. 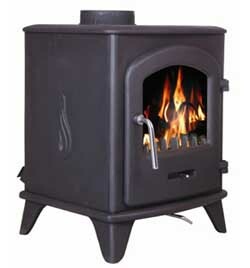 Never buy from an unauthorised retailer as you may not get the correct sales, technical information and customer service required when purchasing an Broseley stove. If in doubt please check with Broseley to avoid rogue traders. Buy with confidence from an authorised retailer. Buy from Fireplace Megastore.